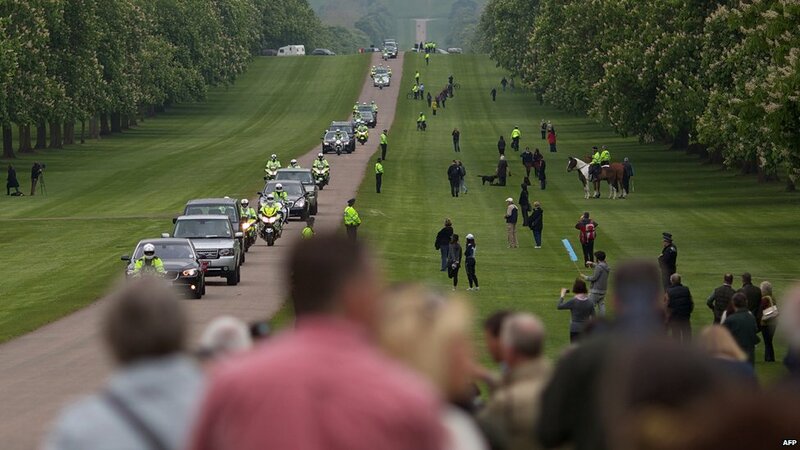 Members of the public gathered to watch monarchs from around the world arrive at Windsor Castle for a lunch to mark the Queen's Diamond Jubilee. 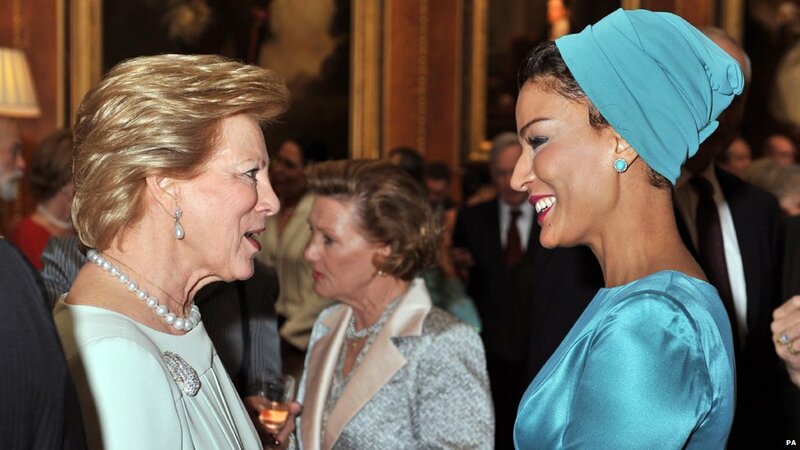 Queen Beatrix of the Netherlands flung her arms open before greeting the Queen with a kiss. The King of Sweden gave the Queen a more formal welcome. Japan's Emperor Akihito, who is 78, underwent heart surgery in February and only returned to full official duties in April. 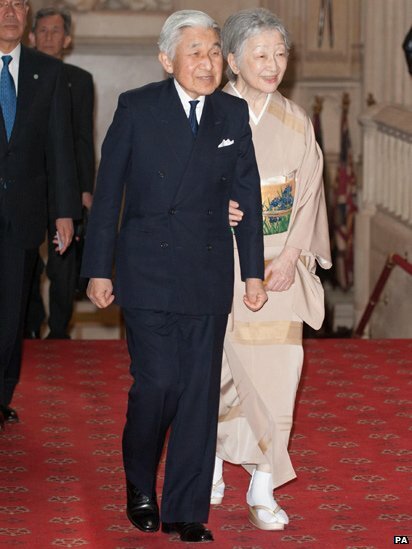 He and his wife Empress Michiko left Japan on Wednesday for a five-day visit. 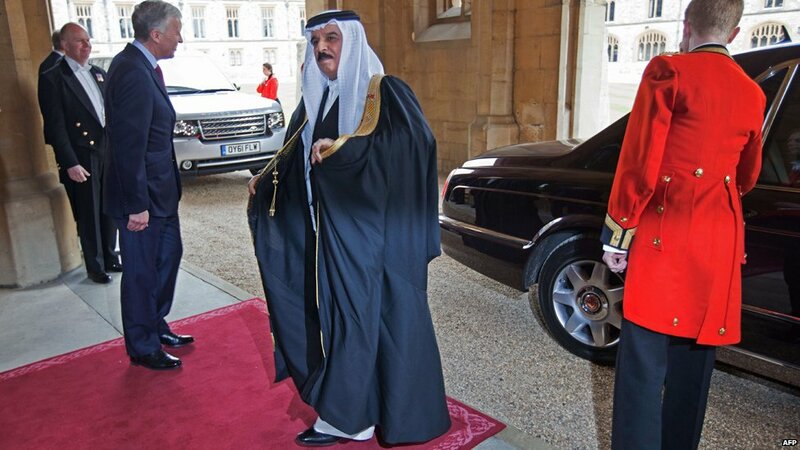 The presence of Bahrain's King Hamad al-Khalifa at the Jubilee lunch has been criticised by human rights campaigners. 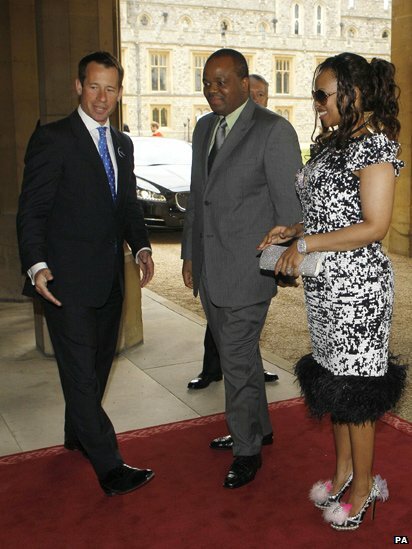 King Mswati III of Swaziland's attendance prompted protests in London, with critics accusing him of leading a "lavish lifestyle" while his people go hungry. 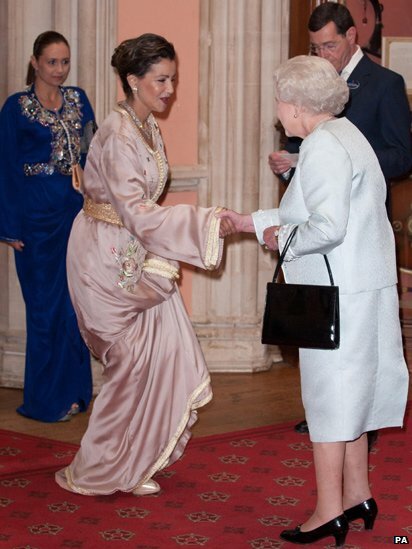 The Queen greeted Princess Lalla Meryem of Morocco. 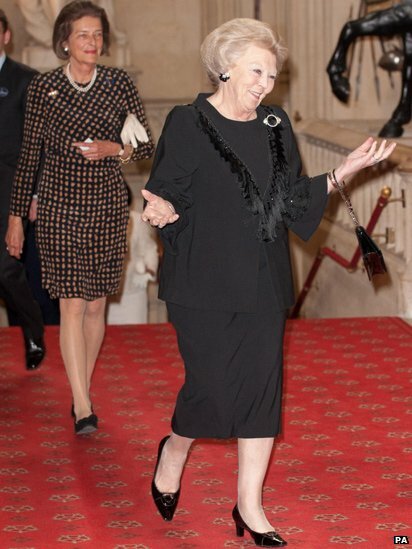 Twelve members of Britain's royal family attended the lunch. 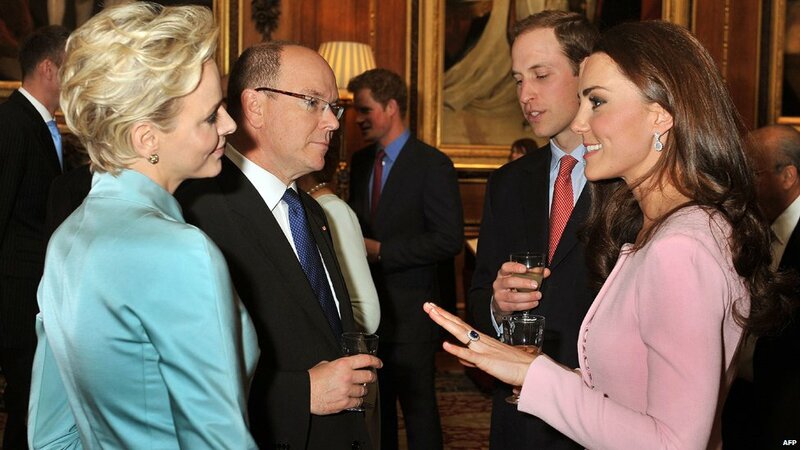 Here Princess Charlene and Prince Albert II of Monaco talk with the Duke and Duchess of Cambridge. Anne-Marie, Queen of the Hellenes, talks to the wife of the Emir of Qatar at a reception in the Waterloo Chamber before the lunch. 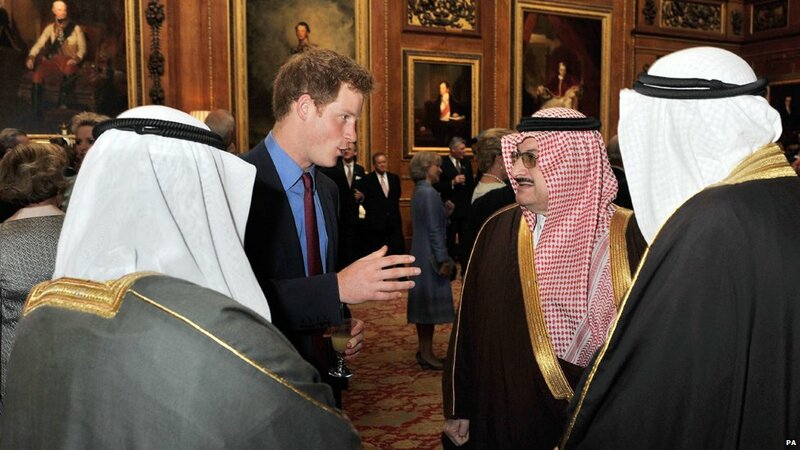 Prince Harry with Prince Al Saud of Saudi Arabia. 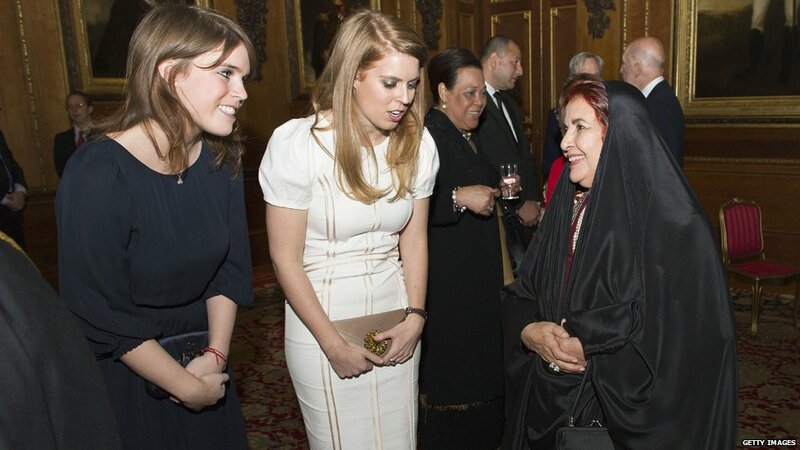 King Hamad al-Khalifa was accompanied by his wife Princess Sabeeka, who was seen speaking to Princesses Eugenie (L) and Beatrice before the lunch.